I will freely admit, when I think of Valentine’s Day, I think of chocolate more than love. Maybe it has to do with the fact I have been with my husband since high school and he always knew how to get to my heart. In other words the roses, and making me smile with tech, chocolate, coffee, or tea. If he can find a way to incorporate more than one of those he truly did an awesome job. With me dieting though, its hard for me to get my chocolate fix. Lately, however, we found the perfect things for relaxing me and satisfying my chocolate craving – the Numi Organic Tea Indulgence Collection. 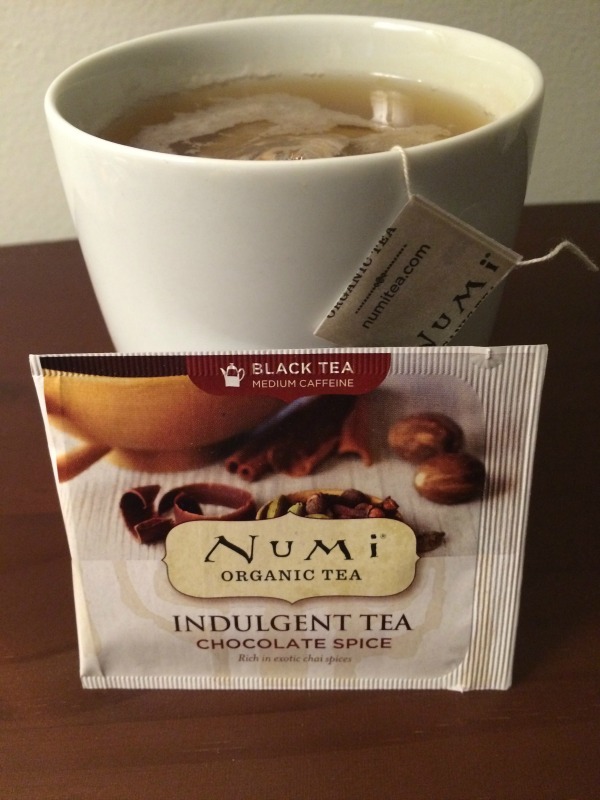 Numi Organic Tea Indulgence Collection: What is It? We are fairly certain that once you try this yummy tea you will never think of chocolate tea the same way again! I have to say that so far this is some pretty good tea. The tea itself has a very subtle chocolate taste but not overwhelming. As someone who normally isn’t a fan of chocolate tea, I was quite surprised with the crisp flavor and other subtle tones that came together to create a very yummy blend of tea. My favorite of the collection so far is the Chocolate Mint since it does such a great job showcasing this tea. Personally, I think it is perfect for anyone who is looking to get in some chocolate without having to worry about the calories that comes with it. Based on my own experience, I am happy to give Numi Organic Tea an A rating. Would you like to try out this awesome tea for yourself? 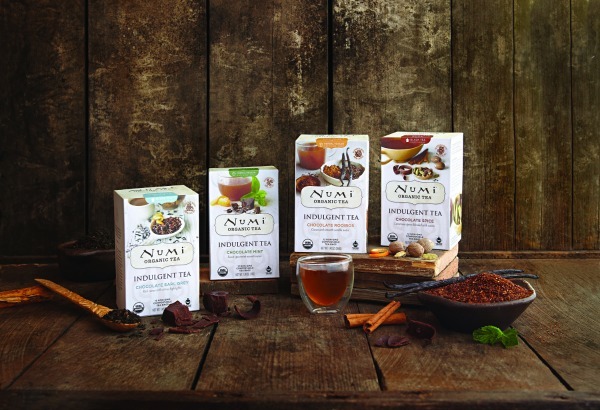 You can the Indulgence Collection on the Numi Organic Tea website or use their store locator to find a store near you that sell their awesome tea! Want to learn more? Check out Numi Organic Tea on Social Media! Wow! Chocolate Tea! This Numi Organic Tea sounds wonderful. I never heard of chocolate tea, I would love to try it. Chocolate tea? never heard of it. Sounds delicious though and I would like to try it because I do love chocolate. I would love to try this tea – I’m looking for it next time I go to the store. I don’t usually drink tea! However I am a Chocoholic so I might actually love these teas. They sound delicious! Thankyou for the Great Review! I haven’t heard of chocolate tea before either. I’d do the chocolate mint. I would love to try this. Hot and iced. I don’t know what rooibos is. I would try the chocolate Earl Gray first, then the mint. I would like to try this. I am not a big tea drinker, but this sounds delicious. I really am into this idea of mixing tea and chocolate. I’m going to scour my grocery store for this. Just as soon as the snow stops! Numi makes some unusual tea blends. I have tried the chocolate mint and it is delicious. I never heard of chocolate tea, but it sounds really delicious! I’ll have to check it out! These sound great. I like that they have some regular teas, and some herbal teas for when I don’t want to have the caffeine. Omgosh they make chocolate tea?!?! This is two of my favorite things in one!! SOLD!! They sound fabulous!